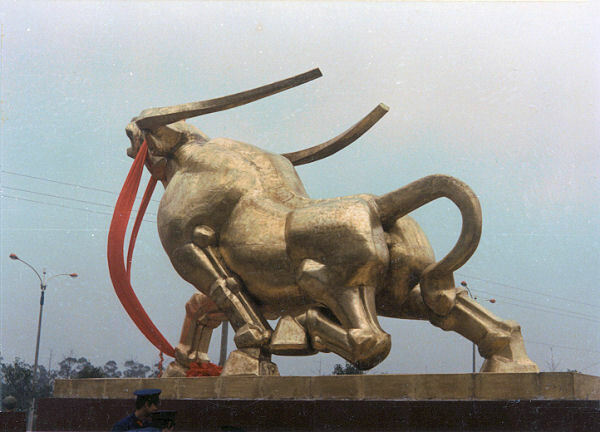 Ivan, one of our students, sculpted this Golden Ox statue. He wanted to pronounce his name as "Even." He said he wanted to "get even" with his customers. The city paid him money for his design. The statue is about 10 feet high. It is in a prominent place in the city.